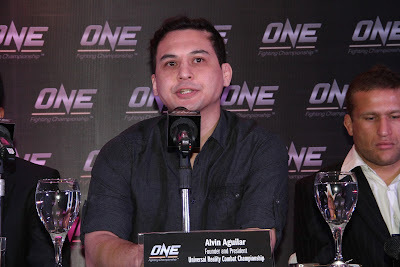 ONE Fighting Championship™ (ONE FC), based in Singapore, heads to Manila to rock the historic event of the largest Mixed Martial Arts (MMA) organization in Asia on August 31, 2012 (Friday) at Smart Araneta Coliseum in Cubao, Quezon City. It will debut the fight capital of Asia with the largest MMA event in Philippine history. 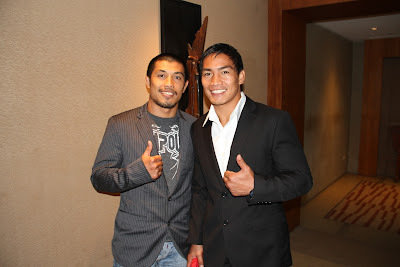 Eduard “The Landslide” Folayang (11‐2) is back in action at ONE FC: Pride of a Nation. The hero of the Philippines will represent his country once again on an international stage when he enters the ONE FC cage. Folayang is excited to prove why he is still one of the top fighters in the Lightweight division today. Three other great fights are already lined up for this historic night of MMA action. The main event will pit the ever impressive DREAM Bantamweight Champion Bibiano Fernandes against CFC Australia Champion Gustavo Falciroli. Fernandes has an 11‐3 record with most of his fights finishing via TKO or submission and is ranked as one of the top five fighters globally in the Bantamweight division. Despite being feared for his explosive submission grappling, his last victory in DREAM against former WEC Bantamweight Champion Antonio Banuelos, ended by TKO in just 1:21 seconds of round one, proving to everyone that he was equally adept at ending fights with his fists. He is looking to make a memorable ONE FC debut when he squares off against the aggressive striker and submission wizard from Australia, Gustavo Falciroli (12‐3). Falciroli is the current CFC Australia Bantamweight Champion. He earned his black belt in Brazilian Jiu‐Jitsu in 2003 and is currently on a two‐fight win streak. His last ONE FC fight captivated fans across the MMA community with his impressive rear naked choke submission victory over Soo Chul Kim in just 1:12 seconds of round one. Falciroli will be facing the biggest test of his fight career when he steps up in class against top pound for pound Bantamweight king Fernandes. In addition to the main event, MMA fans will also have the opportunity to see the ONE FC debut of Andrei “The Pit Bull” Arlovski and Jens “Lil Evil” Pulver. Arlovski will square off against Soa Palelei and Pulver takes on the pride of the Philippines Eric “The Natural” Kelly. Fans can look forward to some serious action in the ONE FC heavyweight division when “The Pit Bull” arrives for the big show on 31 August. Former UFC Heavyweight Champion Arlovski (17‐9) will step into the ONE FC cage for the first time with the determination and striking ability to get him back on top of the division he once ruled. Arlovski has gone toe‐to‐toe against some of the top heavyweight fighters in the world including the likes of Tim Sylvia, Fabrico Werdum and Fedor Emelianenko. 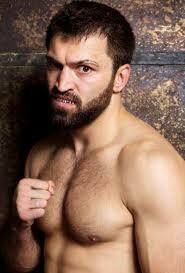 Expect Arlovski to bring hard hitting action when he looks to continue his winning streak against Soa Palelei. Two of the most skilled strikers in the ONE FC Featherweight division will battle it out in what is guaranteed to be a fast paced slug fest. Former UFC Lightweight Champion Jens Pulver will battle the pride of the Philippines Eric Kelly. In his first appearance in the ONE FC cage, Pulver will look to impress Asian MMA fans with a decisive victory over the rising star Kelly. Coming off an impressive unanimous decision victory over Bae Young Kwon at ONE FC: Destiny of Warriors, Kelly will do everything in his power to maintain his unbeaten fight record and turn Pulver’s dream debut into a nightmare. Pulver is Kelly’s toughest test so far but Kelly will have the advantage of home crowd support at the SMART Araneta Coliseum. 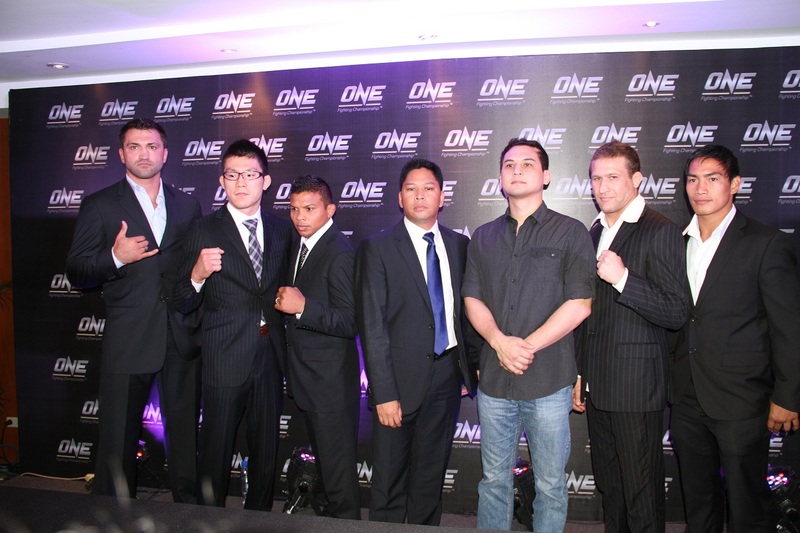 Tickets for ONE FC: Pride of a Nation are on sale now through TicketNet or at all TicketNet outlets located at the SM department store customer service area and at the SMART Araneta Coliseum ticket booth. For inquiries and reservations, please call +63 911 5555. Tickets are priced at Php 4,500 for VIP experience seating that includes exclusive Red Carpet entrance as well as access to the VIP lounge, followed by Php 2,000, Php 1,000, Php 650, Php 500 and Php 200 respectively.